Much like the dawning of social networks, it’s very likely the next great transformation in healthcare started in a university dorm—Dawson Hall, part of Queen Mary University of London. For it is here, in the summer of 2013, that the first handful of workers for a new entity funded by the UK Department of Health called Genomics England began to lay the groundwork for the 100,000 Genomes Project. And in early December, Genomics England leaders announced it achieved its goal 100,000 genomes sequenced by the end of 2018—a monumental leap from its running count that showed only 50,000 genomes had been sequenced as late as February last year. The project got to 100,000 because its sequencing center hit its stride, and is now at a run rate of between 6,000 and 7,000 whole genomes per month. There is plenty of headroom in the number if service demand increases, Bentley noted, as the sequencing operation transitions from the HiSeq instruments it is currently using, to the NovaSeq, Illumina’s new, faster sequencing platform. While the first mission of the 100,000 Genome Project was to help develop a working model for delivery of genomic medicine via the NHS, it also included running a parallel research arm to leverage the data for use by academic and commercial entities. The data and associated discoveries will allow NHS to continually improve its service to patients. It was the focus on both research and clinical care and how the two disciplines feed off of each other, and depend on one another that drew Tom Fowler to Genomics England. At launch, the intention was to split rare disease and cancer sequences roughly 50-50. But soon after starting sample collection in cancer, Fowler and his team noticed that what worked for most research settings was not going to fly for the clinic, namely relying on FFPE tissue samples. Long used by clinicians and researchers alike, the FFPE samples provide advantages for storing human tissue and often aid in comparing samples taken at different times to track the progression of the disease. But sequencing of these samples was often panel-based for a small handful of genes, activities that are often not affected by the known degradation and fragmentation of DNA that results from the tissue fixing process. At the beginning of the pilot, Fowler said they experimented a bit with tumor sample types—both FFPE and fresh frozen—in the hopes they could use FFPE since it is easier to store and transport. “It would have made our lives a lot easier if we had been able to use FFPE samples,” Fowler noted. “Although we found ways to optimize the FFPE process—to mean we got better results—the comparison to the fresh frozen made it clear the only viable option was to get fresh frozen working” as the samples to use for cancer patients. 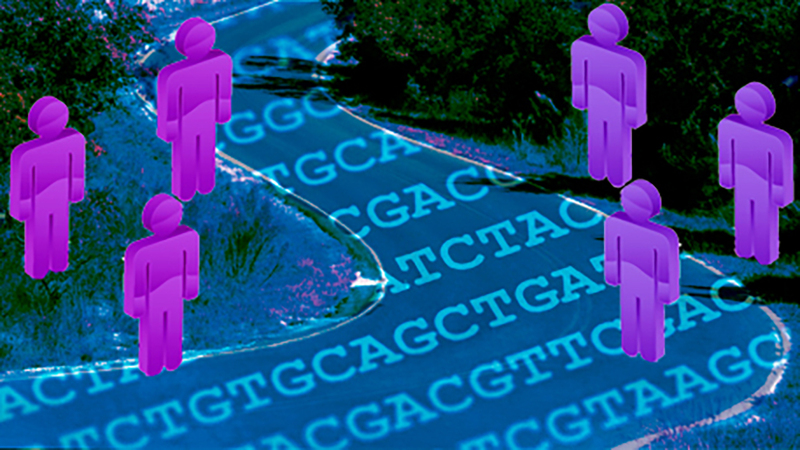 The decision to ditch FFPE blocks shut down cancer patient recruitment for the project for about a year and is what led to the split of roughly 60 percent rare disease genomes and 40 percent cancer genomes in the final tally. The development of new sample collection and handling pathways largely fell to NHS workers in the field within each of the 13 regional recruitment areas for the project, which required new equipment, sample collection protocol and a revamped consent protocol due to the significant differences of managing and handling fresh frozen samples. “I pay tribute to the frontline NHS workers because on top of all their normal activity, they did a lot to figure out how this should work,” said Fowler. Over the course of a few months, Fowler witnessed a progression of each region’s ability to provide viable samples for sequencing. Parallel to solving the logistical questions for nationwide collection of the relatively fragile samples, Genomics England researchers were experimenting with different methods of freezing them to determine whether it impacted sequencing quality, as well as how long samples would maintain their integrity using different shipping methods. “I’m not sure what the exact number is officially but we are now at a point where we are getting 400 fresh frozen samples coming through per week, and we never imagined we’d get to those numbers,” Fowler said. While each of the 13 regional centers solved sample collection individually to get sample flowing again for the pilot, best practices have since been distilled to a systematized method that can work across the entire NHS. Central to delivering an effective program of genomic medicine across the entire country is the development of a healthcare workforce knowledgeable of genomics and its applications for individual patients. In the East of England region, one of seven newly created hubs for the NHS Genomic Medicine Service, that responsibility falls on the shoulders Gemma Chandratillake, Ph.D. It’s hard to imagine a better candidate for this job, as Chandratillake has received training in both molecular biology and genetic counseling, and was an early employee of the genetic testing company Personalis. She told Clinical OMICs that the intent of the NHS over the next 18 months was to get as many staffers at each of the country’s hospital trusts trained, with a plan to have a fully trained genomic medicine workforce within 10 years. For some, that might mean completing only a few course modules online that relate directly to their day-to-day work, while others may decide to receive their masters degree via a program NHS has created and will be deployed at selected universities within each of the seven geographic hubs. While NHS provided similar training to hospital trusts participating in the 100,000 Genome Project, not all participated, meaning there will be a significant increase in scale. “I think it is important to emphasize the scale of the ambition. This is huge and it is not going to be easy,” Chandratillake said. “At 100,000 it seemed like an impossible mountain to climb and we climbed it. 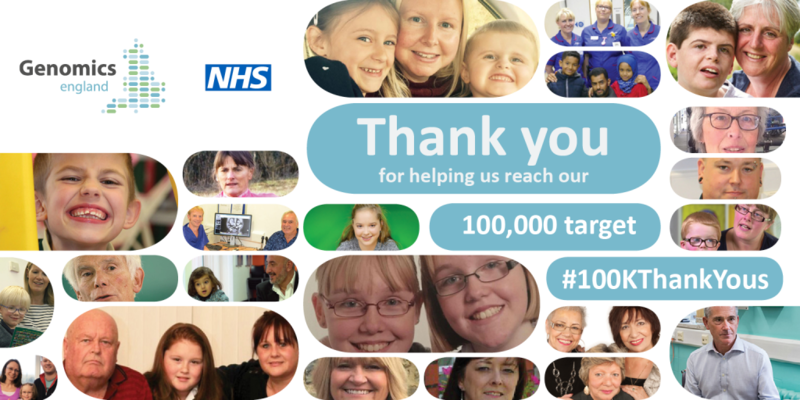 We now have a bigger mountain to climb, but we will climb it too.” For her, that means expanding from the four hospital trusts in her region who were involved in the 100,000 Genomes Project, to now providing training and outreach to 30. Allison Pope, Chandrillake’s supervisor, is program lead for the genomics education program at Health Education England, based in Birmingham. She believes virtually all 1.3 million people employed by the NHS will eventually need to have at least a basic level of knowledge of genomics. But her group is also faced with getting doctors at the front lines up to speed quickly on some granular topics. To aid this, doctors will have access to an electronic system to help guide them through this process, but Pope said it is clear that creating a framework regarding these conversations, which may be new for some doctors, is a priority. For Chandratillake bringing genomic medicine countrywide also represents a concrete example of NHS having a focus on care equity across ethnic, regional, and socio-economic lines. Through the 100,000 Genomes Project, NHS tracked patient recruitment and coverage of populations. “We have plotted all of our recruited patients across the regions [to show] they are not just from Cambridge, so we feel very good about that,” she said. Yet aside from providing for more equitable care, and aside from being by far the largest deployment of genomic medicine to date, NHS’ and Genomics England’s effort may also be ushering a new area. Chris Anderson is editor in chief of Clinical OMICs.